Should you work with an agency, or can we handle it in-house? Will you have to completely abandon the traditional approaches you’ve been using? Is inbound marketing really worth it? What exactly is inbound marketing, anyway? That’s a lot to cover! Let’s start with that last one. Inbound marketing is a proven method that capitalizes on how your customers’ buyer behavior has changed over the past decade (it’s never going back, by the way.) Instead of pushing advertising messages at them, you provide educational and useful content that pulls them in toward your business. It’s not about quick, shiny fixes; it’s about long-term strategy and easing prospects through the buyer’s journey. 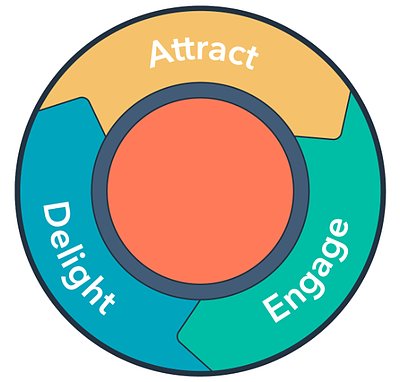 The HubSpot inbound methodology showcases three simple stages of inbound marketing. When the journey naturally happens for your target, trust, credibility, and momentum are built, and they move from prospects to customers and, eventually, promoters of your brand. When they’re delighted, they fuel business growth. Now, think about traditional “outbound” marketing methods: there’s really no way to effectively target a tactic like a TV commercial or a billboard. Even if you can air the commercial on certain stations at certain times, or use a billboard in a very specific part of town, there’s no way of knowing who's seeing it or whether those views are producing qualified leads. But, that doesn’t mean you necessarily need to throw away your traditional marketing methods all at once. Instead, consider finding synergies with inbound, which makes your outbound tactics more effective because they’re integrated. These can truly feed off each other, if your strategy is developed properly. Many traditional marketing methods are still relevant and important for B2B specialty manufacturers, for example. Outbound approaches, such as attending trade shows and participating in industry groups or professional organizations, continue to provide benefits to these businesses. You can gradually introduce elements of inbound to your current marketing tactics. 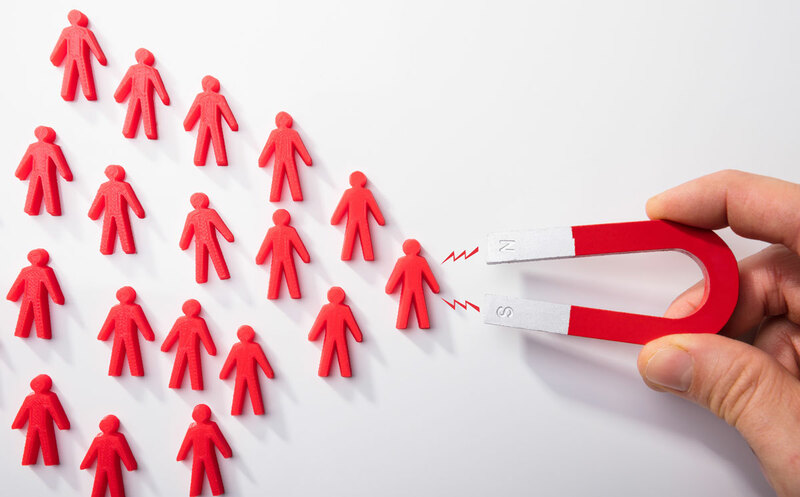 Here are 6 ways inbound can complement traditional efforts. In this case, imagine you’re a B2B specialty manufacturer about to attend a tradeshow to showcase your custom products. You’re ready to set up a booth and feature new product collateral. You know, traditional marketing tactics. Now, add some inbound thinking. Promote the show on your social media channels and on industry forums and online networking groups. Send an email to your contacts who are likely to attend the tradeshow, encouraging them to visit your booth. Include a piece of downloadable content so your contacts can start seeing the value of your products. At your booth, feature an opportunity for interested parties to sign up via email to receive a piece of your advanced content, such as a case study or a cost-savings worksheet. Put up signage that promotes a key conversion offer on your website’s home page. It’s like a billboard but with a reward. Play a video about your brand and/or products. Add this to your website’s content library and repurpose it on social media channels, YouTube, etc. Think of it as a TV commercial with serious longevity and usefulness. After the tradeshow, follow up with nurturing emails to your new contacts. Plus, publish a wrap-up blog post where it will live forever without expiring like a press release would on a wire service. You can still connect with media outlets; just drive them to your site. Want more trade show specific tips? Check out this insightful piece about improving trade show ROI with inbound. Yes, we’ve left some of our original questions about inbound marketing unanswered. Well, it is a complex subject that requires intense study. The benefits are worth it, though. If your industry tends to rely on traditional marketing methods, you can still take advantage of inbound marketing, too. Use the two together to nurture your customers throughout their buyer’s journey and get more significant results. Laura is a detail-oriented consultant and project manager, with a background in public relations, social media engagement, and client content creation. 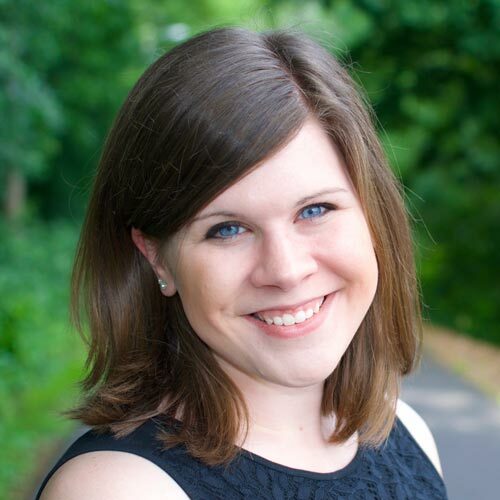 Prior to her time at Weidert Group, Laura managed PR for an industrial services company, and maintains a strong focus on earned media within our inbound marketing programs.